ORLANDO, FL , (November 23, 2011) – FlightScope, maker of the world’s first 3D Doppler tracking radar for golf, will be partnering with the Association of Golf Club Fitting Professionals (AGCP) for the 4th year running. Based in Columbus Georgia, the AGCP has been in the forefront of club fitting expertise and has numerous Golfdigest top 100 clubfitters in its membership. FlightScope is also a sponsor of the annual AGCP convention held in Columbus, Georgia. This year FlightScope’s David Nel presented attendees with information on how to interpret FlightScope’s data to enhance the fitting process. He also delved into more detailed information displayed on the many FlightScope screens, for example using the speed and acceleration profile to analyze how the club head is delivered into the ball. FlightScope X2 radars were used during live fittings on stage giving members the chance to experience the vast amount of information available and how the AGCP master fitters applied such data to conduct their fittings. The last day saw David Nel do a presentation on the importance of measuring the club head planes at impact and how it affects ball flight. FlightScope has been very popular amongst AGCP members and is honored to be a partner of this prestigious organization. “The AGCP is honored to have the support of FlightScope partnering with us for the 4th consecutive year to help us promote and advance the science and art of clubfitting. 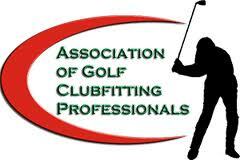 The AGCP is a worldwide Clubfitters organization and our members are some of the best Clubfitters in the world. This is evidenced by having close to 100 of our members listed by Golf Digest as America’s Best Clubfitters, and our growing membership in Europe and around the world. There is an enormous amount of gratitude from AGCP members to FlightScope for assisting the AGCP to be such a premier organization. We feel very fortunate that FlightScope continues to work tirelessly with AGCP members to improve their 3D Doppler tracking Radar units which provide AGCP Clubfitters with the information necessary to fit golfers with the best clubs possible for their swing and ability. We are also grateful to Henri Johnson, David Nel and FlightScope for their time and expertise and their efforts to appear at our convention year after year and provide AGCP members with the critical scientific information necessary to use the FlightScope to its full potential.” said Roy Nix, founder of the AGCP. For more information on the AGCP and FlightScope visit www.agcpgolf and www.flightscope.com.